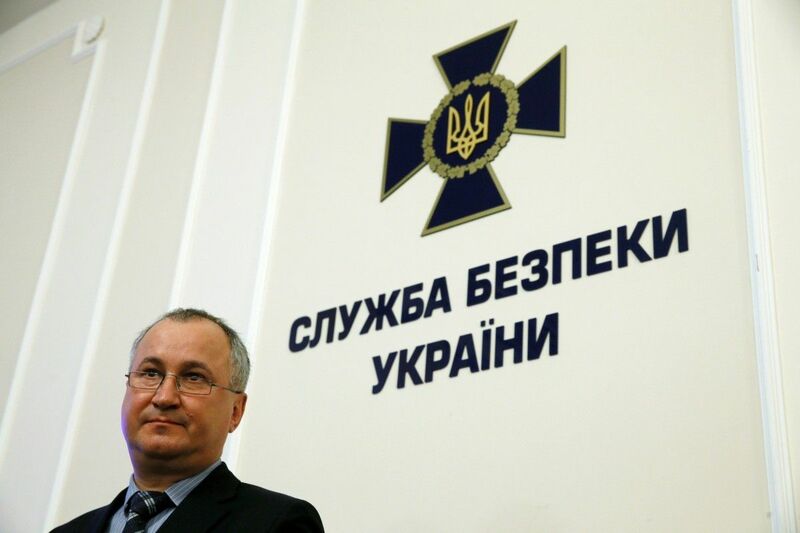 Chief of the SBU Security Service of Ukraine Vasyl Hrytsak says Russia recruits members of Ukraine's patriotic organizations and Russian agents are infiltrated into them, according to an UNIAN correspondent. "We see an entire system rather than isolated cases at a certain venue or a rally dedicated to a certain event. We see the systematic work of these [Russian] special services. Leader of the Nazhdak [radical organization, literally "emery"] Mykola Dulsky, who is now hiding in Moscow, is one of such protest initiators of so-called rallies in territory of our state," Hrytsak said at a briefing in Kyiv on Monday, May 15. Read alsoKyiv police block nationalists' office to prevent clashes with pro-Russian marchers"I do not want to blame all Nazhdak representatives who continue to work in Kyiv and participate in the social and political life of the Ukrainian capital. I wanted to say that the special services of the enemy country traditionally use such a method as the recruitment of patriotically minded citizens as its agents. The other way is the infiltration of their agents into the patriotic environment," he added. The SBU established that Dulsky, the leader of the Nazhdak radical organization, was behind a recent attack on the Consulate General of the Republic of Poland in Lutsk, Ukraine. As UNIAN reported earlier, the roof of a building of Poland’s Consulate General in the City of Lutsk was damaged late in March, after being hit with an unidentified large caliber weapon, presumably a grenade launcher. Polish Foreign Ministry confirmed that no one had been hurt in the incident. Poland's Consul in Lutsk Krzysztof Sawicki called the incident a "terrorist act," aimed at killing people. Ukrainian President Petro Poroshenko strongly condemned the attack on the Consulate General in Lutsk, while Ukrainian Foreign Minister Pavlo Klimkin expressed outrage at the act, which he dubbed as "provocation." Dulsky is wanted by Ukrainian police on charges of an attempt to kill. He is also accused of an attempt to synchronize the attack on Poland's Consulate General and the blocking traffic between Lviv and Rava Ruska in western Ukraine.